The breakfast burrito is a common breakfast dish in filthy takeaways and cafes the US, particularly in the south. Here's my take on it - a great start to the day if you're hungover, or just damn hungry. 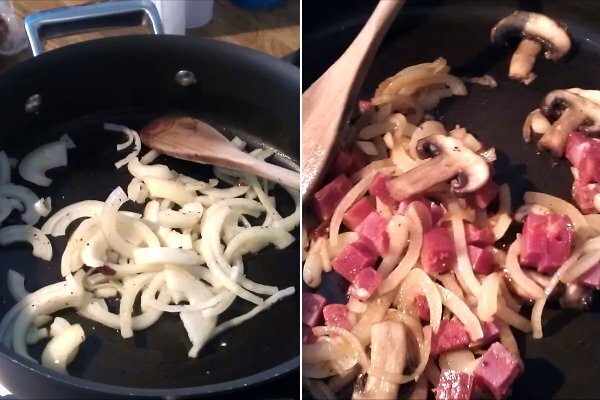 Fry onions with a chopped chilli (maybe more... depends how spicy you like your breakfast). Add salt and pepper, chopped mushroom, and some cubed chorizo. 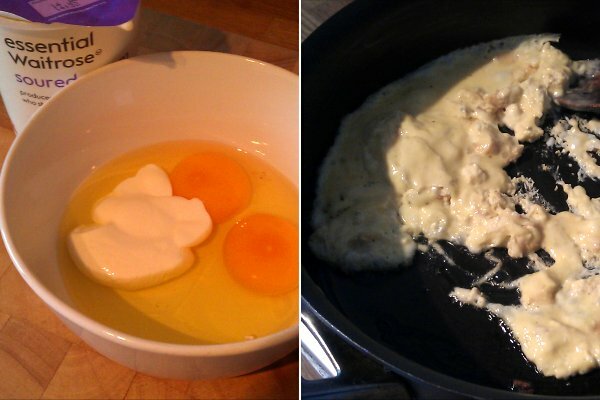 Scramble a couple of eggs. I added sour cream to make them more creamy. And er... sour. 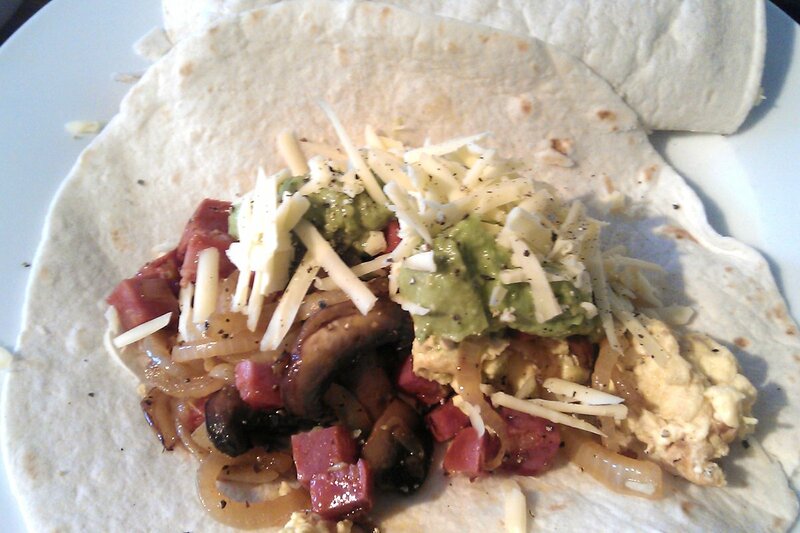 Fill a couple of flour tortillas with the onion & chorizo, scrambled egg, grated cheese, and guacamole. Roll up and stuff into your face. This is just possibly my new favourite breakfast. Enjoy!